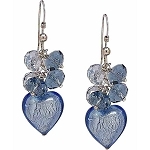 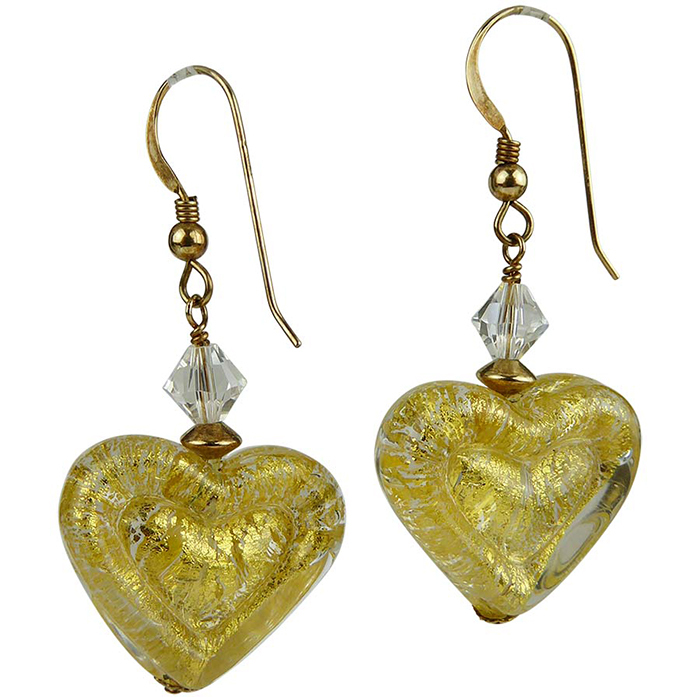 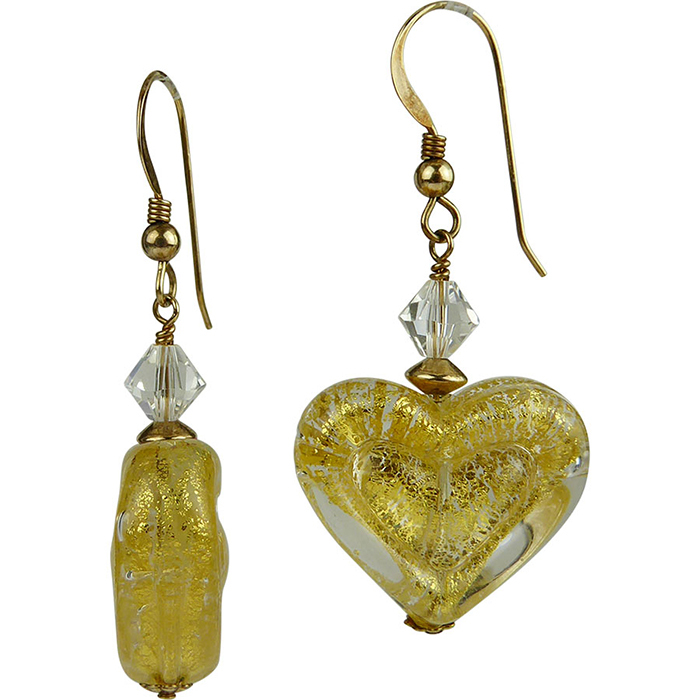 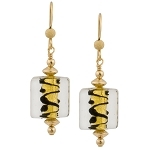 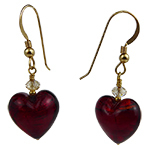 These have a look of luxury, the Clear, Murano Glass encasing 24kt Gold Foil in a double heart. 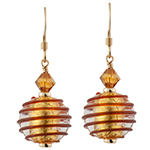 The Swarovski Crystal is a sets off the bright gold. 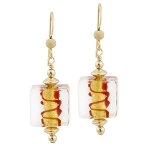 The ear wires are Gold Fill Our bead are authentic Murano Glass and the earrings are designed and assembled in our studio in the US.